His medical career came to an abrupt halt when he was diagnosed with a disease that caused vision loss in both his eyes. He was pushed to an extreme limit and came out swinging. Dr. Gaby said yes to opportunity and took steps to figure it out. 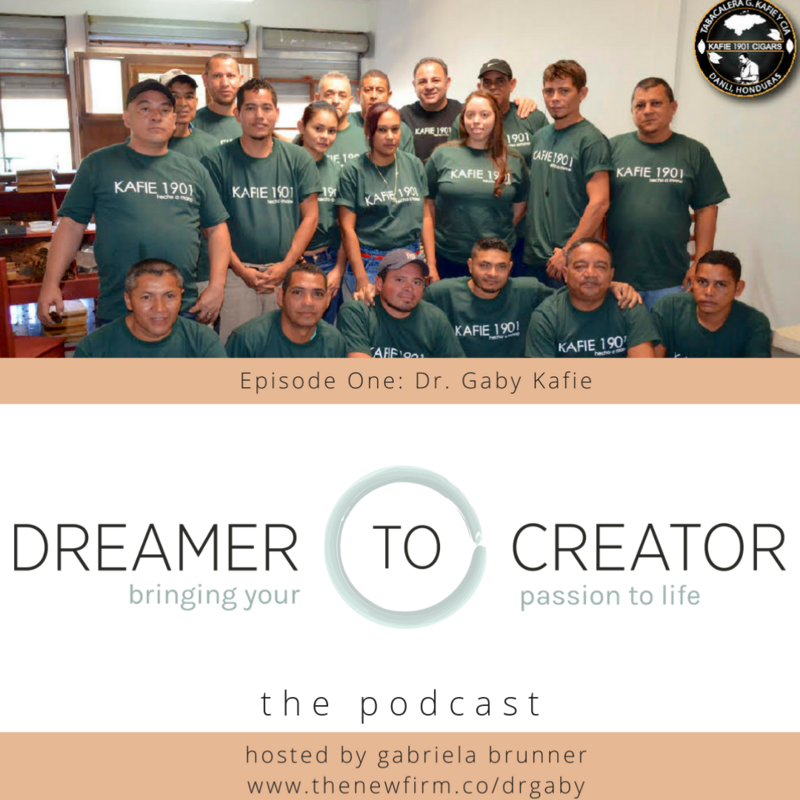 Tune in to the inaugural episode of Dreamer to Creator | The Podcast and listen to Dr. Gaby’s story. From medicine, to vision loss, to fishing lures, to cigars, to coffee. He’s inspiring. He’s resilient. He’s a warrior. You have to believe so much in what you do that it becomes contagious.